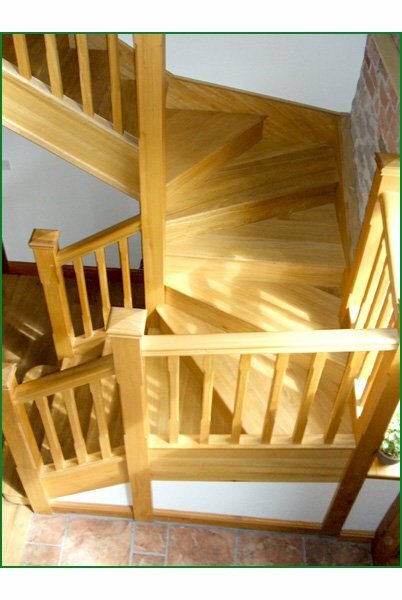 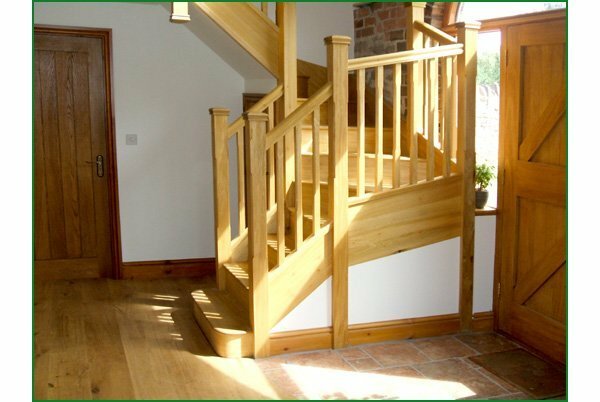 A double winder staircase made entirely from idigbo, a yellow-brown coloured hardwood from West Africa. 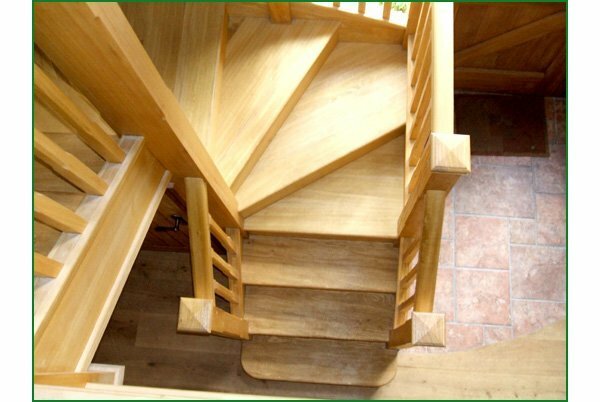 The bottom step is a double-sided bullnose. 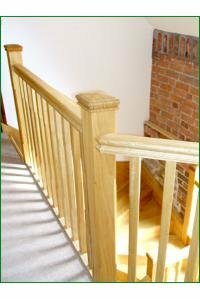 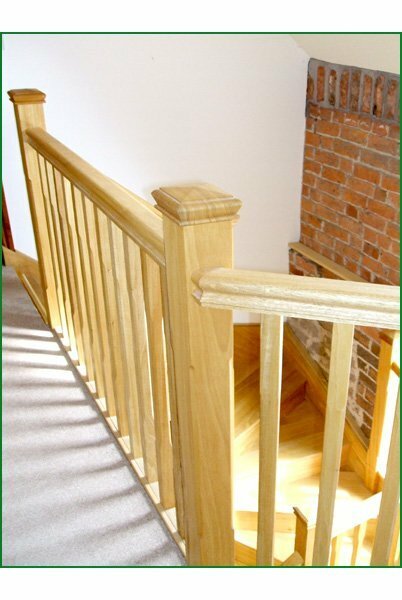 Spindles and newel posts are stop-chamfered and the newel caps are of the pyramid style. 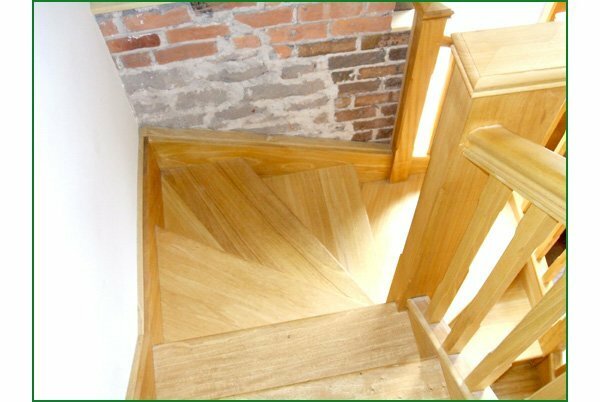 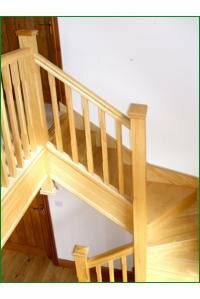 Pear Stairs are a brilliant company to deal with. They are always very professional. 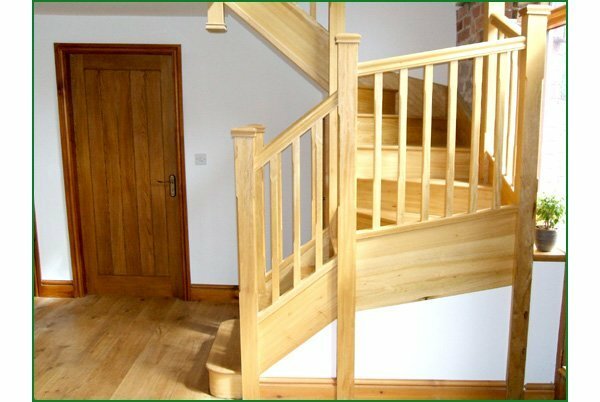 If I had any queries or problems they always had the time to sort them out efficiently and quickly. 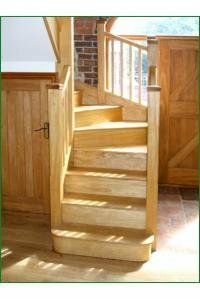 I would recommend you to anyone. 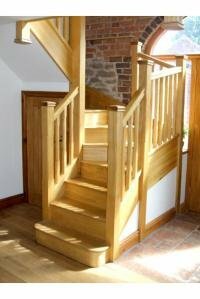 The staircase was delivered very quickly and was very simple to fit. The staircase is a highlight of the house and I'm very pleased with it. I won't deal with anyone else.